Calgary man fined for driving while in possession of open and accessible cannabis. Weed may now be legal in Canada but there are restrictions that users need to pay attention to. 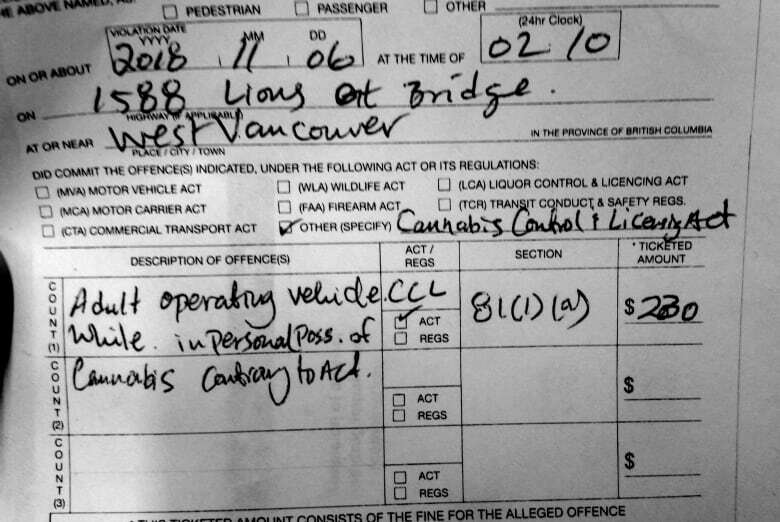 That's what a Calgary man learned the hard way early Tuesday morning when he was stopped at a westbound roadblock on the Lions Gate Bridge and handed a $230 ticket under the new B.C. Cannabis Control and Licensing Act. The 23-year-old wasn't high and wasn't driving poorly. But he did have an unlit pipe full of marijuana sitting on the centre console of his Jeep. "It is important for drivers to make themselves aware of what is and isn't prohibited," said Const. Jeff Palmer of the West Vancouver Police Department. "This issue isn't that the cannabis is possessed to be used. The issue is there's a prohibition of it being possessed in such a way in a motor vehicle." The Cannabis Control and Licensing Act section 81(1)(a) says "an adult must not operate a vehicle ... while the adult has personal possession of cannabis." Cannabis in its original unopened packaging, or that is not readily accessible to the driver or any passengers, is permitted in a vehicle. Under the new legislation people aged 19 and over can possess up to 30 grams of legal marijuana in B.C. Palmer says it is the first ticket of its kind issued in West Vancouver since recreational cannabis became legal on Oct. 17. 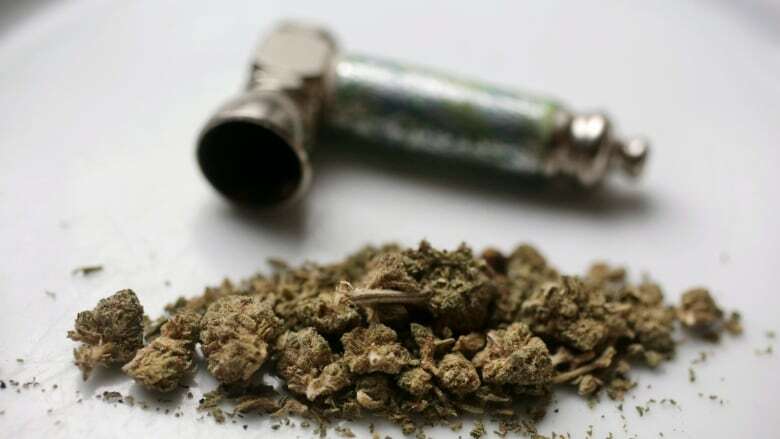 A previous version of this story said the minimum age for possession of cannabis in B.C. is 18. In fact it is 19.